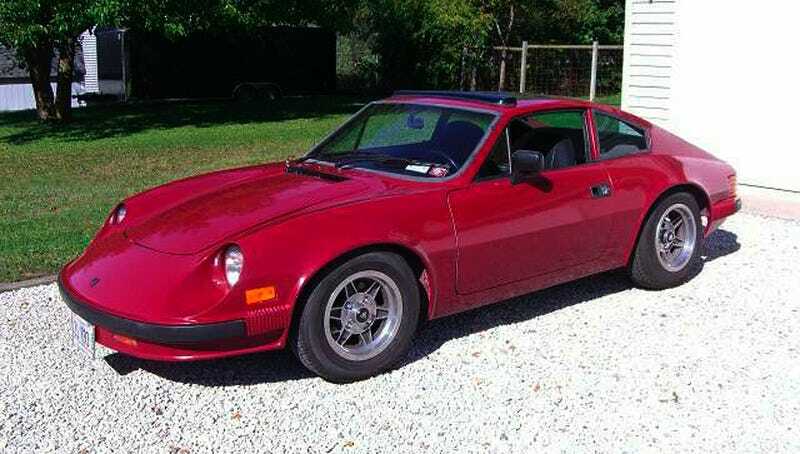 For $6,250, Could This 1981 Puma GTI Be The Cat’s Meow? The seller of today’s Nice Price or Crack Pipe Puma says he’s just too big for the small car. Let’s see if the big dog’s price for this little Brazilian cat might still be just right. Okay I get it, you all thought yesterday’s Faux-rrari 19993 Chevy C/K Pickup was ugly as sin. You can stop now with the kill it with fire memes and eyes-getting-plucked-out gifs. Opinion noted. Beauty, or the lack thereof, apparently has a financial component as well. I guess that’s not that surprising seeing just how poor-fitting most clothes from Walmart typically are, and in this case the fuglies resulted in a massive 86% Crack Pipe loss. Okay, if aesthetics are your cup of tea then consider, if you will, the beautiful bodies of Brazil. No, I don’t mean the chiseled physiques in skimpy swimwear that typically covers the country’s miles of white sand beaches, I mean those like this 1981 Puma GTI coupé. Puma was a small Brazilian car manufacturer founded in 1964 by Rino Malzoni, a lawyer who had gained a certain amount of notoriety racing DKWs. Malzoni developed a competition car based on DKW’s three-cylinder two stroke which became the DKW-Malzoni GT. In 1967 Volkswagen took over DKW-Vemag, and put an end to Brazilian DKW production, and hence the DKW-Malzoni. By then however, the Malzoni GT had already been renamed the Puma and with no more DKW engines, the cars were redesigned around VW’s Karmann Ghia platform (and later Brazillia.) This resulted in a series of cars that included the one you see right here. In addition to building entire cars for the Brazil market—where tariffs made imports far too expensive—Puma also built thousands of component car kits, many of which made their way to the U.S. and Canada. These came without a drivetrain, front end, or wheels, which the owner would add themselves and then be off to the races. This GTI evidences the first major restyling of the Puma, which included replacement of the chrome blade bumpers with molded-in units reminiscent of those of a Porsche 911. The rear end also received the Brazillia’s rigged tail lamp units in place of the earlier VW Bus lights. Despite the naming convention, this GTI is in fact carbureted, its 1600-cc VW flat four sporting a pair of single barrel EMPI down-draughts on the single port heads. The engine looks fairly tidy, however strangely enough the air tubes on either side have been blocked off with those rubber temporary core plugs they sell at the Pep Boys. What’s up with that? A four-speed transaxle fronts the mill, and the seller says he drove the car 100 trouble-free miles after purchase so it’s had at least a minor shakedown run. Those must have been some of the most uncomfortable miles imaginable however, as he says in the ad that he’s six-feet tall, and that is too tall apparently for the Puma. That is his explanation for the sale. That’s also too bad because this Puma’s interior looks to be a pretty nice place to hang out. There’s a sunroof in the roof and it looks like all the trim is intact. The ad claims all the various switches and gauges function as they should, and that the glass is all intact. With the exception of the cheesy steering wheel, this looks to be a solid citizen. The exterior seems likewise well sorted with a respray in red over what the seller says was originally yellow. Original alloys underpin and it’s got one of those huge Tornado side view mirrors that were so popular back in the ‘80s. Most of the parts underneath are all VW so sourcing any replacements won’t necessarily mean a trip to the southern hemisphere. The title is clear and there’s only 48,000 kilometers on the clock. Topping all that off, the car is also damn pretty. Since Mr. Too Tall seemingly can’t fit, he’s put it on the market for $6,250. That gets you a handsome car with an interesting providence and one you won’t see on every corner either. The question for you however, is whether a Volkswagen-powered component car can command such cash. You know what we say to that. Racine WI Craigslist, or go here if the ad disappears. H/T to Faux Shizzle for the hookup! For $9,750, Could This Custom 1993 Chevy Diesel Dually Tow The Line?